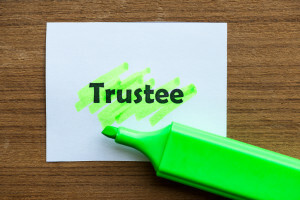 The responsibilities an individual has as an administrator or trustee of an employee benefit plan carry with them a potential liability like few other duties he or she may have. Under the Employee Retirement Income Security Act (ERISA), anyone who is entrusted with the responsibility for decision-making about a company’s or organization’s benefit plan could be held personally liability for a wrongful act. An individual’s house or other personal assets could be in jeopardy. The list reads like a manager’s nightmare, and claims filed for these reasons are not covered by other professional liability coverage such as directors and officers liability or employment practices liability. Fiduciary liability insurance protects plan sponsors and trustees against claims arising from alleged negligence, errors or omissions, or other breach of duty stemming from their responsibilities as administrators of a benefit plan. At Ideal Insurance Agency, we recognize the importance of fiduciary insurance. Our risk consultants can help you assess your risk and find cost-effective coverage that provides the protection you need. As the nation’s premier specialty retail insurance brokerage company, Ideal Insurance Agency has helped thousands of clients make the right call on fiduciary insurance.